Rayotek is a leader manufacturing of quality, high-volume, low-cost precision glass, sapphire, fused quartz, silica and glass reflectors, lenses, windows and optics. 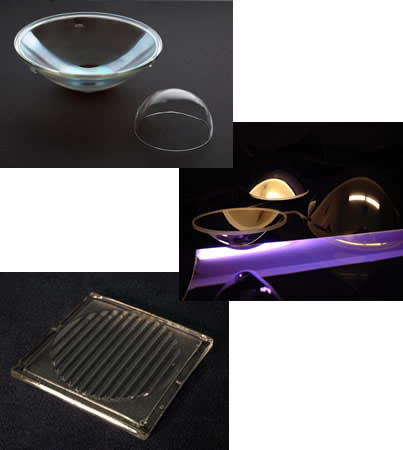 We make simple, complex (parabolic, ellipsoidal, aspheric) and flat shapes from glass, borosilicate (Pyrex™), fused quartz, fused silica and sapphire. 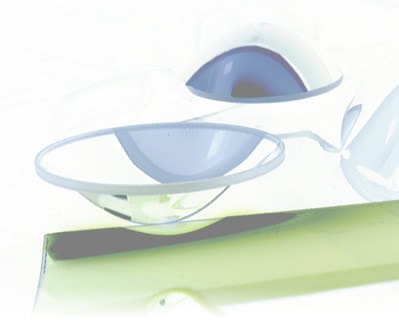 Rayotek is an industry leader manufacturing for simple and aspheric, large and massive glass reflectors, lenses and optics. Our custom-built furnaces are designed to accommodate large and massive optics, making our molding processes suitable for a wide variety of molding, slumping, and production projects. Our glass reflectors, reflector blanks, simple and aspheric optics are made primarily from borosilicate (Pyrex™), fused quartz and soda lime float glass, but can be made from other optical materials as well. High quality quartz diffusers, fused silica diffusers and glass reflectors from Rayotek.